Televisions aren't the only thing LG brought to CES this year -- it's lugged along a couple of wearable fitness devices, too. In fact, we've already seen one of them. The company's FuelBand competitor showcased at CES last year resurfaced as the Lifeband Touch, a fitness band with a swipe-friendly OLED touchscreen that displays physical activity info and calories burned. Naturally, it pairs up with Android and iOS devices to get incoming calls and text information, but if you want to make the most out of it, you'll need to pair it with the company's second CES wearable: a pair of Heart Rate Monitor earphones. 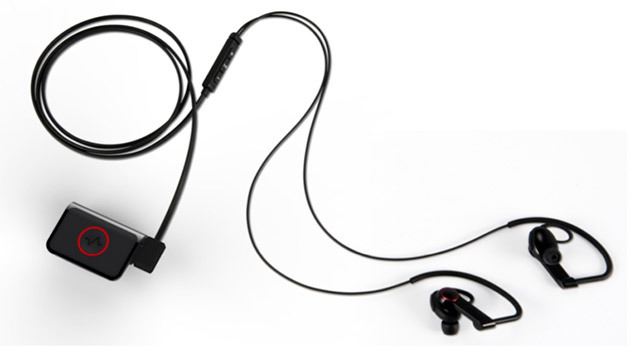 Aside from functioning as normal earbuds, they can track heartbeats by measuring signals from the inner ear. The South Korean company has yet to set a release date for either device, but we'll update you when we hear more.